Walmart Marketplace and eBay offer eCommerce sellers millions of customers, global visibility, large seller communities, and numerous tools to boost conversions. They also offer a lot of competition. Walmart and eBay have 21,000 and 25 million sellers respectively, making your listings’ visibility crucial to your eCommerce business’ success. Luckily, by using simple eCommerce tips such as offering fast shipping and SEO optimization, you can easily boost your listings’ visibility to win and retain customers, and drive profits. Walmart and eBay offer unlimited opportunities for eCommerce success, but that success relies on your listings being seen. This requires search result prominence, standing out amongst your competitors, and having compelling listings that get clicks and conversions. Fast delivery is not just a customer favorite – it’s a customer expectation. 63% of online shoppers expect fast delivery as standard, which is why both eBay and Walmart offer fast delivery programs, with eligible listings heavily boosted across their websites. Walmart Free 2-Day Shipping guarantees customers free shipping within two days. Walmart highlights and promotes these listings through bright green shipping tags, preference when it comes to organic search results, appearance in filtered search results, and increased chances of winning the buy box. It’s a quick way to boost listing visibility (and increase sales) and eligibility is pre-approved when using Walmart-trusted fulfillment provider Deliverr. eBay’s fast shipping program, eBay Guaranteed Delivery, allows online shoppers to filter their search results using a guaranteed delivery date. Approved listings appear in more searches and stand out with green fast shipping tags. To appear on eBay’s fast shipping program, you can self-fulfill or use Deliverr. When self-fulfilling, you must meet eBay’s strict delivery expectations. All Deliverr sellers are pre-approved for eBay Guaranteed Delivery. Online sellers can also promote their listings by optimizing to win the buy box. 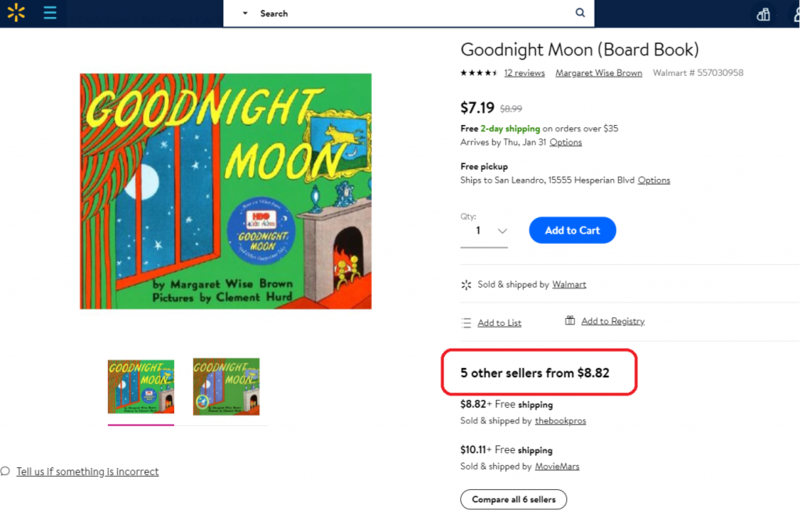 Akin to the Amazon buy box, Walmart’s buy box features one seller in particular (with other sellers featuring less prominently below) on the product page, when a product is sold by multiple sellers. Winning the buy box takes a combination of highly optimized listings, a good price, and fast shipping guarantees. 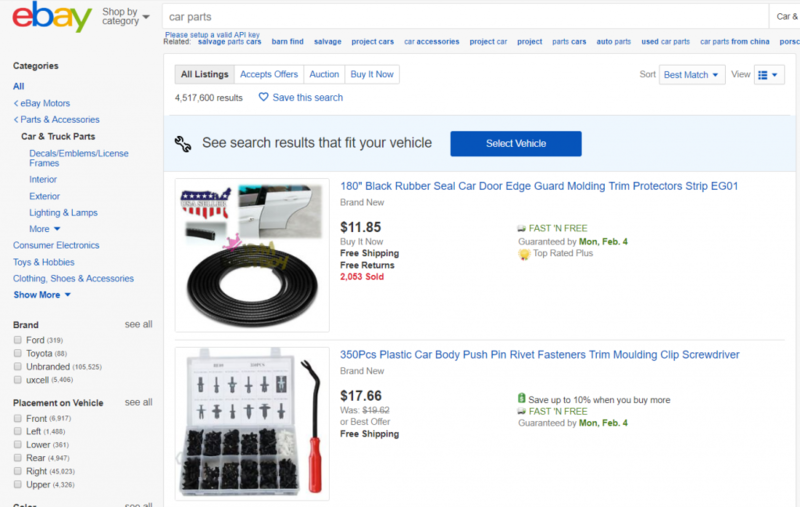 Both Walmart and eBay provide ways to boost your listings on their marketplaces. Walmart Performance Ads are self-serve CPC ads, promoted on the desktop website, mobile store, and mobile app through banners, ads, preferential search placement, and ‘sponsored product’ tags. Tip: Deliverr sellers get automatic approval for Walmart Performance Ads and Free 2-Day Shipping. eBay’s promoted listings can increase your listings’ exposure by higher search result placement and ‘sponsored product’ tags. eBay promoted listings are only available to store subscription sellers and top-rated sellers with an impeccable delivery history. 95% of customers are influenced by online reviews. Achieve five-star ratings by providing outstanding customer service through delivering as promised, providing up-to-date tracking information, and responding to any customer queries quickly. While low pricing no longer guarantees you a sale, customers still take it into account. Ensure that your prices are competitive, and offer additional value in the form of free or lost-cost delivery options by reducing your shipping and operational costs. Tip: Use a fulfillment calculator to identify whether an all-inclusive outsourced fulfillment solution can reduce your costs. Finally, selling on both eBay and Walmart boosts your listings’ visibility by increasing brand recognition. The more online marketplaces your listing appears on, the more that familiar online shoppers shopping around will become with your brand name, and want to buy from you. Plus, selling on multiple sales channels requires little additional effort with the right multi-channel listing tools. Go for the quick wins first. Fast delivery qualifies you for fast shipping programs, improves your organic search ranking, increases your chances of winning the buy box, makes you eligible for paid-for promotions, and converts more customers. One change, multiple benefits. Author Bio: This is a guest post from Rachel Go, who handles content and partnerships at Deliverr. Deliverr provides fast and affordable fulfillment for your eBay, Walmart and Shopify stores, helping to boost sales through programs like Walmart Free 2-Day Shipping and eBay Guaranteed Delivery.